The cloud of radiation that swept through Europe in recent weeks originated at a nuclear facility in either Russia or Kazakhstan, according to a report put out France’s nuclear safety institute. The levels of radiation were never dangerous—at least for Europeans living outside of the immediate area affected—but the exact cause of the incident is still unknown. The report, issued Thursday by the IRSN (Institute for Radiological Protection and Nuclear Safety), ruled out an accident at a nuclear reactor, saying the release of radioactive Ruthenium-106 likely originated from a nuclear fuel treatment site or a center for radioactive medicine. Ruthenium-106 is a radioactive nuclide that is a byproduct of splitting atoms in a nuclear reactor, and does not occur naturally. The accidental release of radiation happened during the last week of September, reports the French institute. The IRSN, along with several other European nuclear safety institutes, had been tracking the radioactive cloud over the past few weeks. Most European countries were affected, with radiation levels measured between 100 and 300 teraBecquerels (where one becquerel is the activity of a quantity of radioactive material in which one nucleus decays per second). By comparison, the 1986 Chernobyl nuclear disaster produced a total of about 5.2 million teraBecquerels, and the 2011 Fukushima disaster churned out an estimated 900,000 teraBecquerels. “The concentration levels of Ruthenium-106 in the air that have been recorded in Europe and especially in France are of no consequence for human health and for the environment,” noted the IRSN in its report. That said, if the incident happened in France, authorities would have had to evacuate or shelter people from “a radius of the order of a few kilometres around the location of the release,” according to the IRSN. Based on weather patterns, the IRSN says the radiation originated south of the Ural mountains between the Urals and the Volga river. So it likely happened in either Russia or Kazakhstan. IRSN director Jean-Marc Peres told Reuters that “Russian authorities have said they are not aware of an accident on their territory,” adding that a spokesperson for the Russian emergencies ministry was not able to comment, and that the French institute hadn’t been able to reach authorities in Kazakhstan. In terms of a cause, Peres suspects an accident at a nuclear fuel treatment site (radiation can be released when nuclear fuel is reprocessed) or at a center for radioactive medicine (Ruthenium-106 has a short half-life of about a year, so it’s suitable for use in cancer therapy). The IRSN ruled out an accident at a nuclear reactor, saying it would have resulted in contamination with other detectable airborne substances. The crash of a ruthenium-powered satellite was also ruled out, as no satellite fell to Earth during this time. 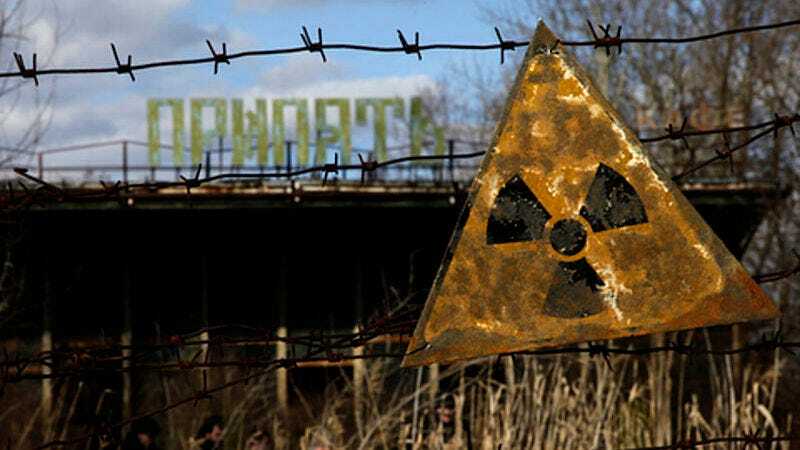 The IRSN said agricultural products in the regions around the point of radioactive release would likely have been affected by the incident, but that French citizens have nothing to worry about. As to what happens next, the IRSN says it’s now up to Russian and Khazak authorities to figure it out. Though on a vastly smaller scale, this incident is eerily reminiscent of the Chernobyl disaster, when Soviet authorities deliberately failed to acknowledge the meltdown to the world for two entire days. In terms of what’s happening here, it’s either a coverup by the facility responsible (or by government officials), or the offending party is completely oblivious to what has happened, the latter of which seems highly unlikely.